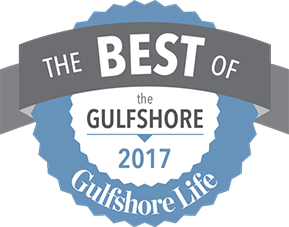 Hundreds of local foodies, socialites and residents contributed votes to help secure the prominent award for Azure to be named the 2017 Gulfshore Life’s best French Restaurant as well as the 2018 Best French, Best Small plates and a finalist for Overall Excellence We’re truly honored and look forward to continue serving exceptional French-European cuisine to our current and future customers. Escape from the ​mundane to experience imaginative French-European culinary sensations with just a hint of Southern flare. ​Azure offers guests an intimate dining experience ​that ​features an open style kitchen​, delightful chef’s table​ and a fresh take on ​popular ​European classics. ​At Azure, you will discover savory yet simple ​​dishes designed to bring out the natural flavor of each individual element. For years Chef Joe Pittman spent honing his craft while working under Top Chef Richard Blais, chef Haller MaGee and chef Charles Mereday. His philosophy is simple: start with the freshest ingredients possible- responsibly sourced at their seasonal peak then bring out their natural rich flavor. At Azure, guests will discover a place where they can savor a gorgeous selection of French-European cuisine in a lovely environment right in their backyard. Eddy Garces and Lee Riley bring more than 30 years of experience from the European restaurant industry. Azure boasts an extraordinary executive chef, Joe Pittman known for his standout Southern flair. Host a celebratory occasion that makes a statement and let Azure add that extra touch of class and charm.